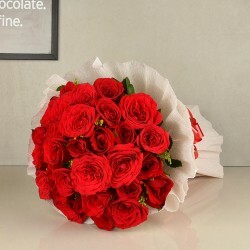 Celebrate Valentine's Day with great zeal and ardor by sending Valentine flowers online to special ones in Kanpur location. When your feelings aren't enough, say it with our freshly hand-picked flowers specially arranged in a splendid bouquet arrangement. Order now! You may be in a beautiful relationship or have just have stepped into one or may just have developed a likeness for someone-whatever your sentiments are, if you have been waiting for an opportunity to express your feelings for that special someone then, wait no more. This Valentine's Day, speak your heart out by sending Valentine flowers to Kanpur. Yes, if you are looking out for an extra-special way to celebrate your love life this year then, nothing can be better than delivering a gorgeously arranged Valentine bouquet to your girlfriend’s house, who resides in Kanpur. 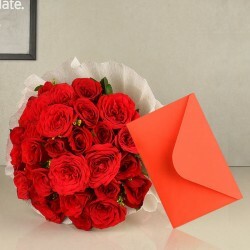 MyFlowerTree offers the best and fresh Valentine flower arrangements online in the city of Kanpur. We have all kinds of Valentine flower arrangements. You can sort them according to style, color, and price on our website. 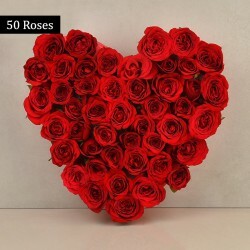 Our extensive range of exotic Valentine flowers come in all shades like red, pink, white, yellow , mixed etc.Therefore, you can place your order for Valentine flowers online in Kanpur and get them delivered to the recipient’s doorstep on Valentine’s Day. Isn’t it a romantic way to surprise your lover on Valentine’s Day? Oh yes, it is! You all know that when it comes to expressing your deepest emotions for your special one, flowers play the most important role. Valentine’s Day is one such day when everyone expresses their feelings of love, care, and affection to their special someone and we are sure you don’t want to be left behind, right? So, if you too want to infuse some romance, love, and happiness in your love life then, no day can be better to do so than Valentine’s Day. Now, the million dollar question is, how? Well, worry not because MyFlowerTree has got you covered with its mesmerizing floral bouquets that radiates charm and elegance. Although a bouquet of beautiful Valentine flowers are enough to express your feelings for you special one, you can make the surprise even more meaningful by clubbing it with other gifts from MyFlowerTree. 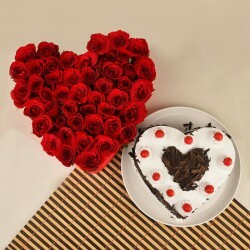 We have an array of thoughtful Valentine gifts like customized mugs, cushions, chocolates, cakes, plants etc. 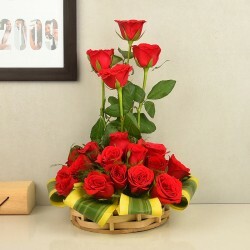 Therefore, along with flowers, now you can also send Valentines gifts to Kanpur for your special one living there and make the day memorable for her. Are you in a relationship with a girl from Kanpur? If yes, then, sweep her off her feet by sending flowers for her on Valentine’s Day. 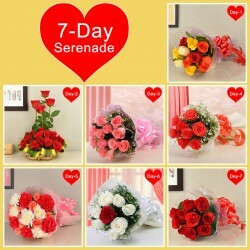 Our flowers delivery to Kanpur on Valentine’s Day is the best way to surprise your girlfriend who puts up in Kanpur. 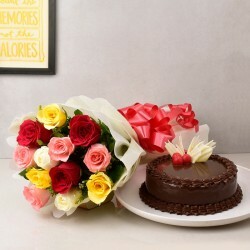 So, if you stay in a different place or city and cannot make to Kanpur this Valentine’s Day then, you can make your girl feel your presence by sending beautiful flowers for her from MyFlowerTree. 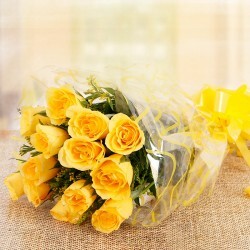 We ensure same day flower delivery in Kanpur and provide free shipping across India. 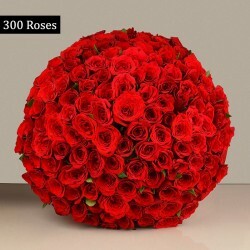 In case you want to send Valentine flowers to Lucknow, which is approx 100 kms from Kanpur then, it is also feasible with us as we deliver flowers, cakes, and gifts to 350+ cities of India and abroad as well. With us, you can also send your tokens of love for your dear ones living in countries like USA, UK, UAE, South Africa, Malaysia, Sweden, Canada etc.